Dark Matter i ssue 3 is here, the crew faces their old identities, a planet on the verge of a showdown with private interests that want to wipe them out and the betrayal to their original mission through all this. It’s a tough battle for them after the last issue, finding out that you’re not nearly as humane as you imagined and instead a record-setting space criminal is pretty troubling, worse is realizing you’re packing enough ammo to level a city. Issue 3 takes them down a path of interaction and coming to grips with this situation, the crew on the planet taking part in humanity again by celebrating with the locals and letting go of the current situation a bit. In space we see Portia struggle with a new problem that has risen up that puts the crew in a bad spot as well and shakes foundation of the new bond we thought they all had. How Porta takes her situation is a mystery that we’re left to find out in the final book, the crew though prove themselves more than capable as they make their stand to defend the inhabitants of the planet no matter who comes knocking. While their ammo and weapons may be limited it looks like we’re heading into a tough conclusion to this Rebirth story arc with everyone starting to focus on the team. Issue 3 is one of those rare turning points where you really need to read the story to appreciate how quickly they whip development into shape and setup the stage for a showdown. 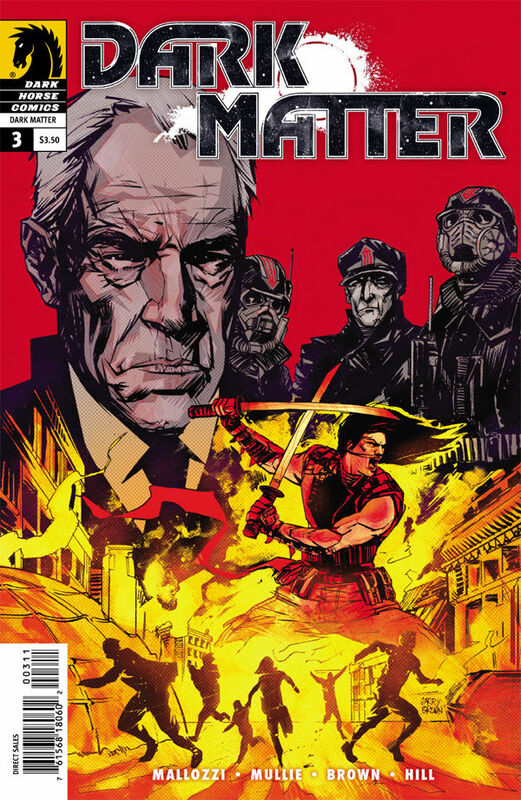 Dark Matter issue 3 continues to develop in style, the characters after 2 issues are now more honed and coming into their own greater details. The shadows are lifting and we’re getting a greater view of who all of these mercs are. The colors are also lifting in each chapter as every panel seems to bring greater light to the entire situation, it’s an interesting way to assist in building a story without directly writing anything else in.